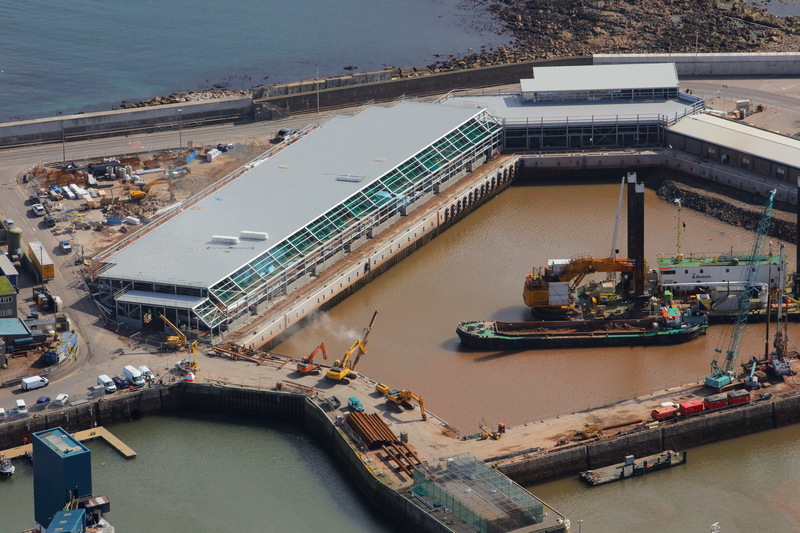 The developments include dredging much of the inner harbours to 6.5m water depth and provision of a much larger fishmarket with 80% more floor space. 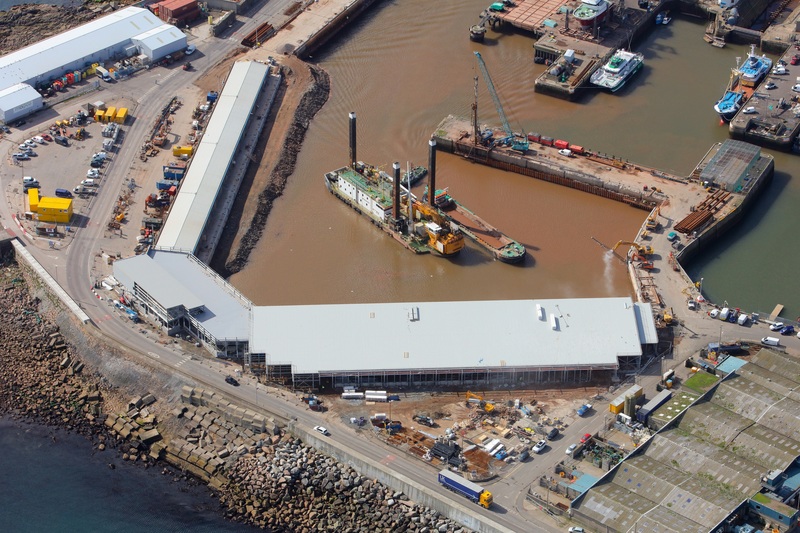 The previous fishmarket at Merchants Quay was removed and the berth dredged to 7.5 metres. This created a 180 metre long deep water and sheltered quay for use by commercial vessels which will be operated by NorSea Group, targeting subsea, decommissioning and logistics trade. An additional 30,000 square metres working area has been reclaimed adjacent to Smith Quay. The market will provide enhanced opportunities for the display and management of fish, helping fishermen to continue to secure top industry prices. 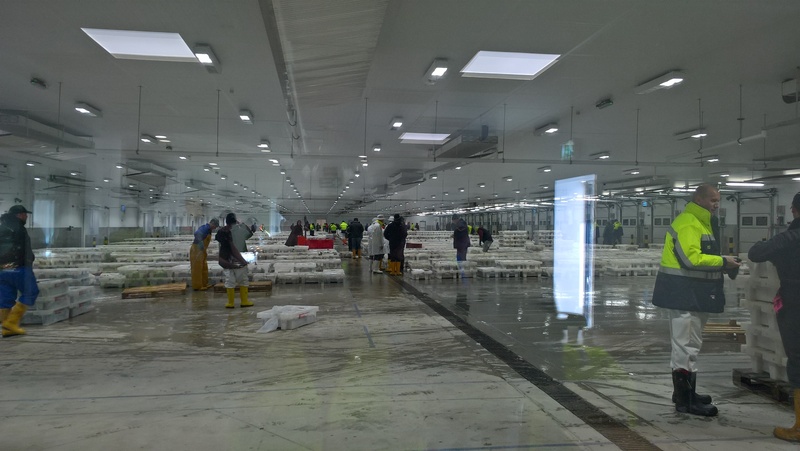 A key element of the new market facility involves the provision of covered landing areas for fish which is sold privately to ensure fishermen and their product enjoy protection from the elements. 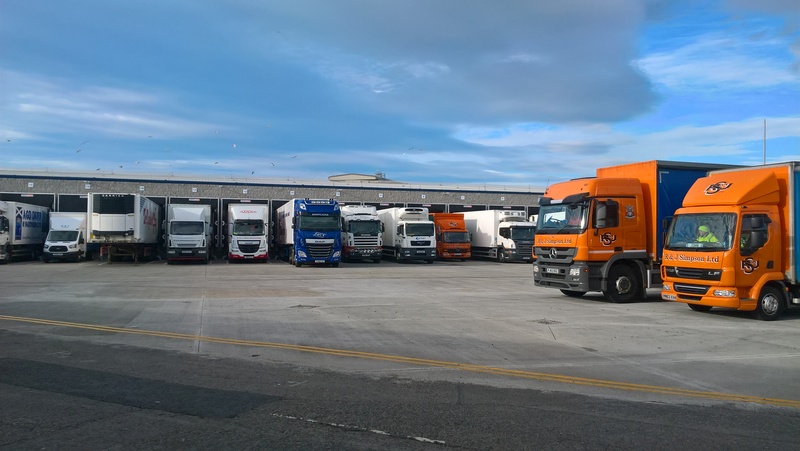 The redevelopment brings together the full range of services and facilities required by the fleet, so that port calls can be completed in the minimum amount of time and most efficient manner. This includes provision of stores, ice, boxes, water, fuel and all manner of repair services. 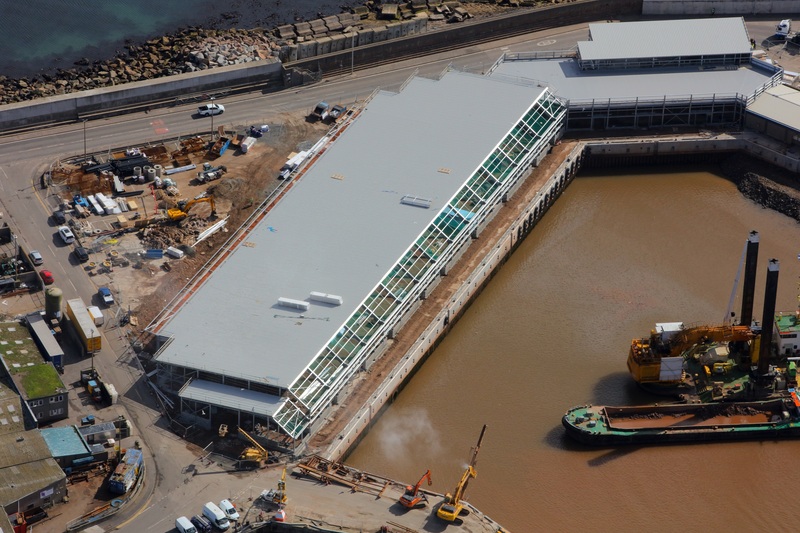 These state-of-the-art facilities will have a significant impact and inject fresh life into the local fishing industry and help further position the harbour as the premier fishing port in Europe.